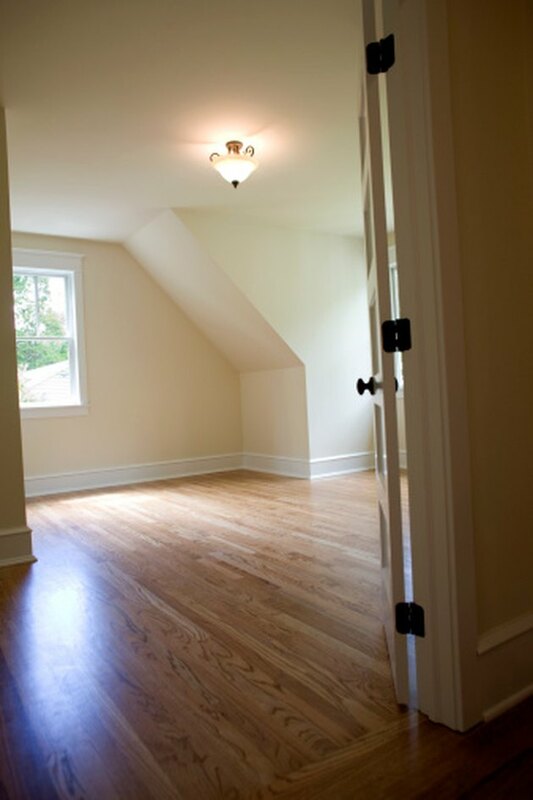 Wood floors can dull over time as foot traffic wears down the finish. This dullness makes your floors look dirty, no matter how often you clean. 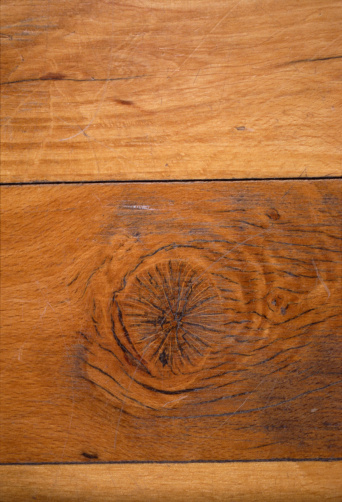 Burnishing the floor is a way to refresh your floor's finish without going through the entire refinishing process. Using a floor burnisher, you can give your wood floor a high gloss shine, restoring the wet look that usually results only from a newly laid finish. Burnish your floors to restore a freshly finished look. Sweeping up any loose dirt or debris from the floor with a broom. Spray a light layer of floor cleaner over the wood and mop the surface to deal with any hard-to-remove dirt. Wait for the floor to dry completely before continuing. Attach an aqua burnishing pad to a floor burnisher with a rotation between 1,500 to 3,000 RPMs. You can rent a burnisher from an equipment rental shop or home improvement store. The aqua pad creates a high gloss on your floor. Move the floor burnisher to a wall running along the side of the room. Spray the floor in front of the burnisher with a light misting of spray buff solution. Turn on the machine and go over the surface of the floor along the wall, starting in the corner and using a slight circular motion to burnish a strip of the floor to the opposite corner. Continue to spray the floor with the spray buff solution as you go, covering the entire strip as you burnish. Turn off the burnisher and move to the other side of the room. Repeat the burnishing process with a strip of floor along the wall opposing the first. Continue burnishing the floor in rows, overlapping the edges of each row for an even floor coverage, and to avoid leaving row markings. Work from the side strips toward the center of the room until you've covered the entire floor. Repeat the burnishing process for a total of two or three passes with the floor burnisher to build up the gloss on the floor. Wipe the burnished floor after the final pass with a dust mop to remove any lingering dirt that may have settled during the burnishing process.